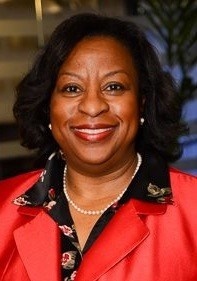 Vicki D. Blanton is the Assistant Vice President - Senior Legal Counsel for AT&T, Inc., with primary responsibility for the legal compliance of the domestic and international retirement benefit plans, with over $54 billion in assets. She has handled complex retirement plan and health and welfare benefit plan issues for several Fortune 50 publicly traded companies and for large governmental employers. Ms. Blanton brings the real world practical perspective of implementing legal changes with each change’s ripple effects in benefit plan administration and to other areas of business operations. Ms. Blanton has been a frequent speaker on a variety of topics, including substantive legal issues, diversity topics, and career development panels. She is a Past President of the J.L. Turner Legal Association, winning accolades from the State Bar of Texas and the National Bar Association. Ms. Blanton has been named as a Dallas Business Journal Best Corporate Counsel, D Magazine’s List of Best Lawyers, and Eclipse Magazine’s Dynamic Lawyers. Vicki is an American Fellow of the German Marshall Memorial Fund and was a Barrister in the American Inns of Court. Vicki has served on and been appointed to a variety of non-profit, charitable, municipal and state boards; currently serving on the boards of the Dallas Chapter of the American Red Cross and Dallas Bar Association as the Secretary/Treasurer and is a past board member of the Dallas Bar Foundation. She graduated from the University of Texas at Austin and Southern Methodist University School of Law. Additionally, she has a Certificate of Study from Georgetown University’s Executive Development Program at the London School of Economics. Vicki has 2 daughters, a 2017 alumna of Howard University and a graduating senior at University of Missouri at Columbia (MIZZOU).